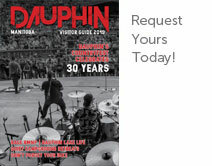 Please use the form below to request a copy of the Dauphin Visitor Guide. You can also download a copy of the guide here (20mb approx.). Please input your Postal Code.